Catch the Bus Week starts today and to celebrate we are giving you a chance to win a free 7-day M-Ticket every day this week. All you have to do to enter is use the Go North East app. Anyone using the app this week will be entered into the free prize draw each day. Download the Go North East app, which features real times, so you can see your bus counting down in minutes until it arrives at your stop. It's also convenient for buying M-Tickets rather than having to fumble for change. If you hop on the bus just a couple of times a month, then you will be help by reducing the number of car journeys made - so much so, there would be one billion fewer car journeys! If you have never been on the bus for a little while, you may be suprised by what they offer. We have over 200 buses that have free WiFi, so you can catch up with friends and not use your data, and if you are running low on power, some of our buses feature power sockets too. Buses are Britain’s most widely used mode of public transport, and are vital to our society and our economy. 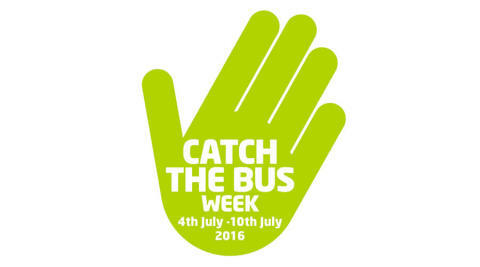 Buses carry millions of people to work, places of education, town centres and to visit friends and family. Travelling by bus can be a less stressful way to travel and you can enjoy some of your own time. A fully loaded double decker bus could take up to 75 cars off the road. Using the bus can make you a lot healthier. *3 zone M-Ticket covering all Buzzfare zones worth £32. Planning on attending Durham Miners' Gala on Saturday 9 July? Look no further than our travel guide.